Listen to Casanova's new song "Go Best Friend" featuring G-Eazy & Rich The Kid. It’s been a minute since we last heard any new music from Casanova. The NYC spitter has been making headlines lately for his beef with Tekashi 6ix9ine, which thankfully looks to be behind the two now as it was squashed last weekend, but now he’s ready to get back to the music. 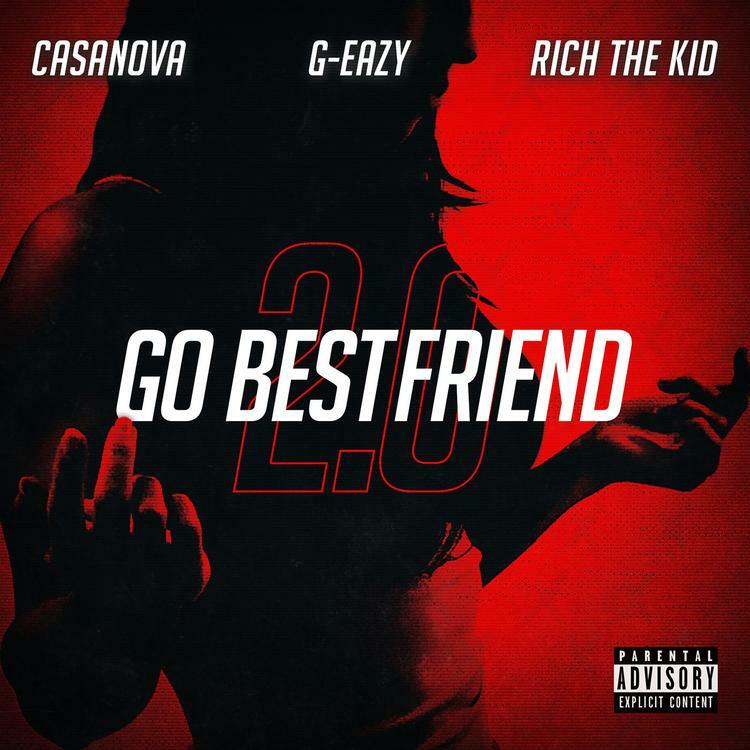 Following up his “Set Trippin” release from a few months ago, Casanova decides to return to the scene today and share an upgraded version of his “Go Best Friend” record featuring G-Eazy & Rich The Kid on it. Leaving the Jahlil Beats-production intact, listen as G-Eazy & Rich The Kid lay down their respective verses in this upgraded street record. Single available on iTunes. Florida Rapper Crown Releases New Song "Toni Braxton"